MoreAttorney, Robert L. Schmidt is a partner at the firm. For nearly 20 years, Robert has devoted his practice to assisting financially distressed individuals and small businesses throughout northern and central New Jersey. Robert represents clients in the areas of bankruptcy, creditor workouts and foreclosure defense. 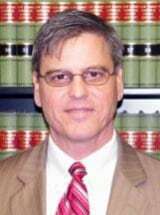 Robert has also prosecuted and defended clients in litigation matters and appeals in the United States Bankruptcy Court and the Superior Court of New Jersey...Attorney, Robert L. Schmidt is a partner at the firm. For nearly 20 years, Robert has devoted his practice to assisting financially distressed individuals and small businesses throughout northern and central New Jersey. Robert represents clients in the areas of bankruptcy, creditor workouts and foreclosure defense. Robert has also prosecuted and defended clients in litigation matters and appeals in the United States Bankruptcy Court and the Superior Court of New Jersey. Robert is currently the co-chair of the Bankruptcy Section of the Morris County Bar Association and spent numerous years instructing younger attorneys as a Barrister for the New Jersey Bankruptcy Section of American Inns of Court.